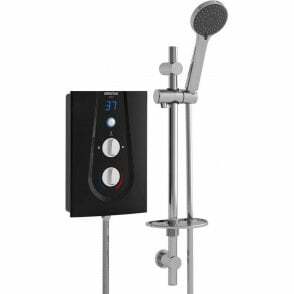 Bristan's Carre Thermostatic Shower comes with both a large rainwater fixed head and a coordinating handset. 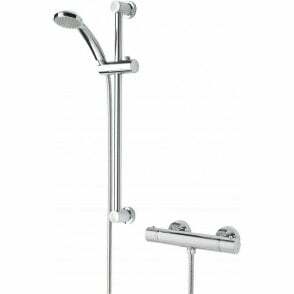 You can switch seamlessly between the two by using the integral diverter. 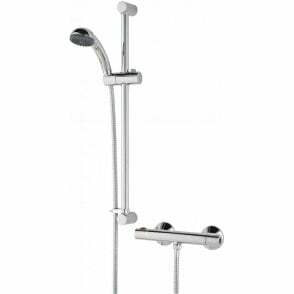 The design of this shower will fit effortlessly in to any modern bathroom, renovation or new build and the unique fast fit system from Bristan means the rigid fixing of this bar valve to 15mm pipework protruding through the cavity wall surface is quick and easy.